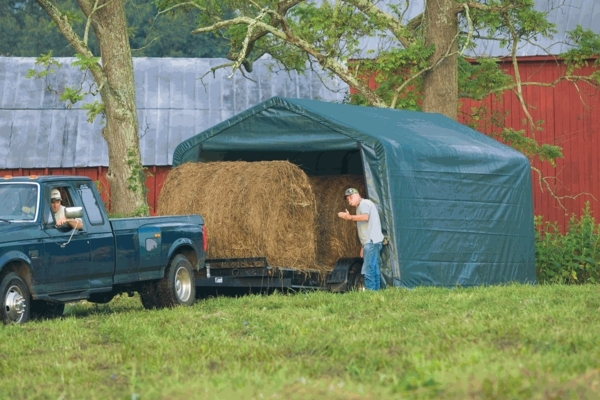 Every component of this instant storage shelter is built for long term use, from the treated canopy which resists fraying, heat, mold, and water to the powerful steel frame. 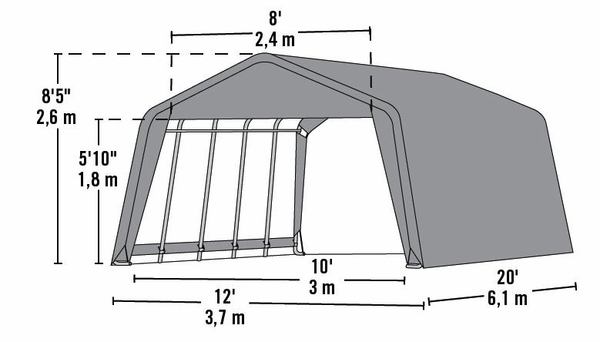 Anyone can quickly erect this 8-foot tall frame, and the canopy's peak top design adds extra height inside. Zippered doors allow complete protection, and the canopy tightly attaches to the frame for a strong wind-resistant design. Instructions and a one year warranty from Shelter Logic are included.